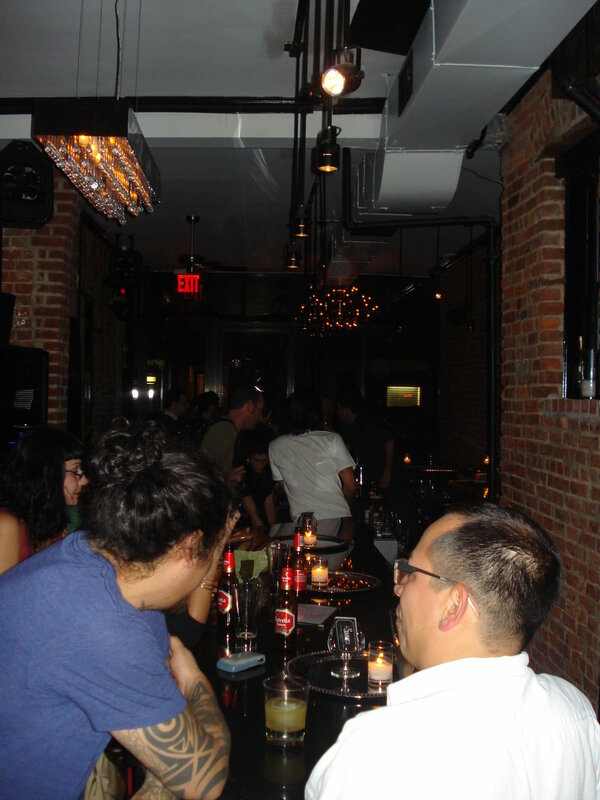 Recession schmecession, it's fall in New York and that means bar openings, people! Not since June, which saw the openings of Fort Defiance and Ward III, has there been so many new cocktail menus and plush seating to try out. While I have plans to hit up Highlands, Henry Public, and the bars at Crosby Street Hotel and Ace Hotel (plus a brand-spanking new bar you probably haven't heard about yet), there are two joints where I recently caught a whiff of new bar smell, Bar Celona in Williamsburg and Summit Bar in Alphabet City. Both are lookers, both have savory-centric cocktails, and both are keepers, in my opinion. Bar Celona, on South 4th Street between Bedford Avenue and Berry Street, is a swanky, noiresque enclave in a neighborhood full of grungy pubs and cafes. 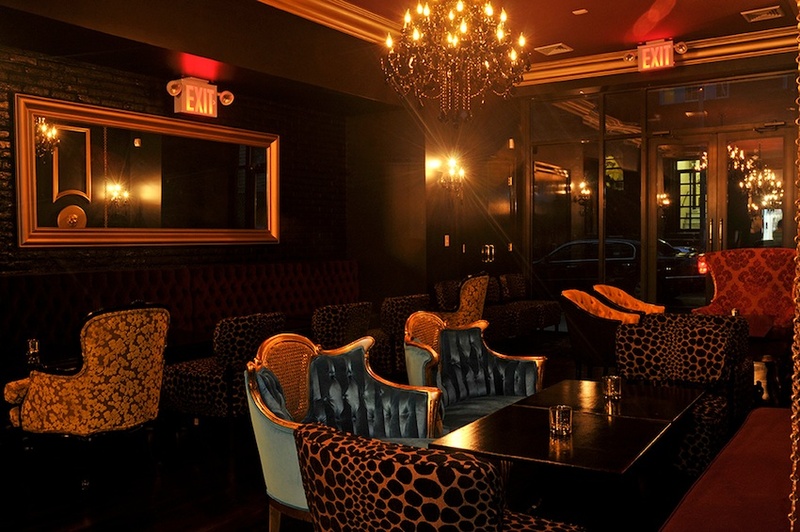 A Spanish tapas and cocktail lounge, the space is the vision of Cynthia Diaz, a fashionista who grew up in the restaurant industry. The Hollywood Regency-style decor, which Diaz designed with her mother, is simply stunning--gold lion wall decals, leopard-print salon seating, glass-enclosed fireplace--but what's really impressive is the cocktail menu created by the Tippling Bros.
Tad Carducci and Paul Tanguay have put together a slew of sweet and savory drinks using Spanish ingredients--expect the menu to expand soon, according to bartender Frank Cisneros. 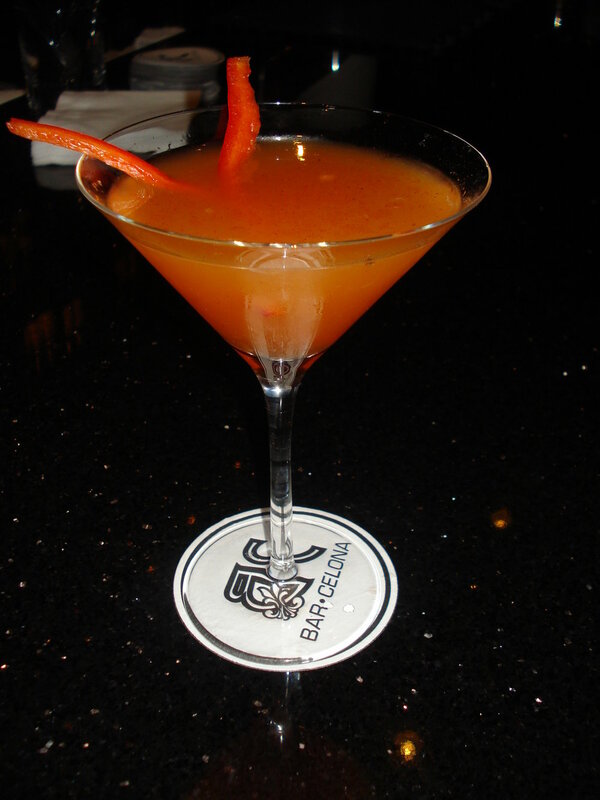 The cocktail menu is divided into three categories: "G y Ts" (variations on gin and tonics, Spain's most popular drink), "Gastros" (featuring savory culinary flavors), and "Variedades" (variety of ingredients). I started off with the "Paellarinha" ($11), a "gastro" drink that included Leblon cachaca, fino sherry, red bell pepper/saffron syrup, and lemon juice. I'm usually not a fan of bell peppers, but this drink was incredibly refreshing and the paella-inspired flavors made it a justifiable appetizer. Next, Frank offered me a special off-menu cocktail, a "Burnt Caipirinha." 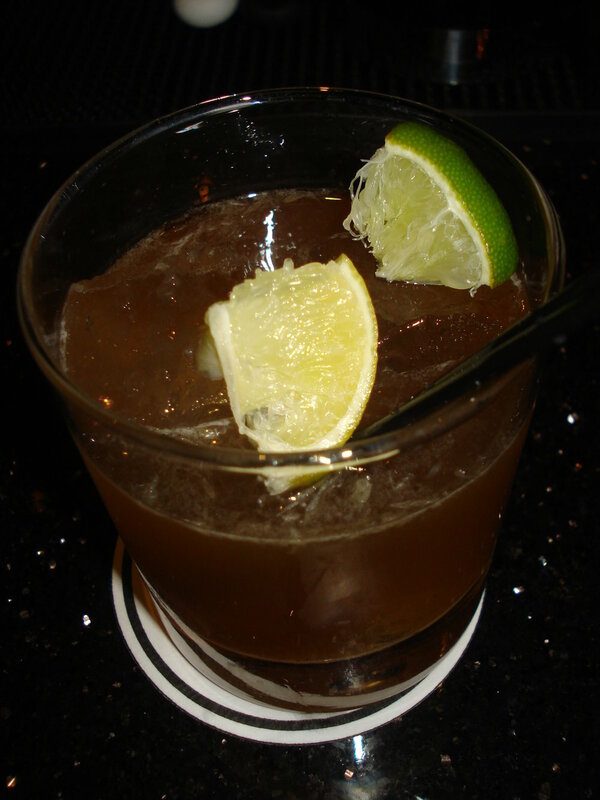 He torched some demerara sugar with an alcohol-filled atomizer before muddling in limes and adding Leblon. The drink had a nice toasted caramel flavor and the fire show was definitely a conversation piece. Lastly, while I nibbled on dates stuffed with Mahon cheese and wrapped in Serrano ham, I sipped down a "Sea Monkey." One of the gin and tonics, this cocktail called for Plymouth Gin, celery/apple juice, lemon juice, Anise del Mono, Fever Tree tonic water, and a fennel salt rim. Since I am a fan of all things celery, I quickly made it disappear. It was hard to choose from this menu--all of the drinks sound amazing. Next time, I think I'll try the "Missionary's Position" (for a change, wink, wink), with reposado tequila, Rioja pear syrup, falernum, and ginger. Take note that Bar Celona is closed on Mondays. Summit Bar, on Avenue C between 8th and 9th Streets, also features plush seating and chandeliers, but the brick wall interior and laid-back East Village vibe offers a balance that has attracted a sizable following (and even a mention in The New York Times). Co-owned by Greg Seider, who created the cocktail menu at Minetta Tavern, Summit features a mix of "Classic" cocktails (Tom Collins, French 75, Vesper, Dark and Stormy, Daiquiri) and "Alchemist" drinks which exhibit Seider's culinary-inspired mixology skills. I had a "Shu Jam Fizz" ($12), a combination of DH Krahn Gin, apricot jam, fennel-infused syrup, peach bitters, lemon juice, and club soda. The apricot jam married perfectly with the gin and anise flavors of the fennel and was not cloyingly sweet. I wish I could have stayed for more drinks at Summit Bar, like "The Gov'ner"--Yamazaki 12 year whisky, toasted cardamom-infused agave syrup, Japanese yuzu, and fresh orange juice. I did, however, get to scope the cabana-style back patio, which will be a neighborhood destination once the mercury reverses. Summit also offers a small menu of charcuterie, with more options coming soon.